Dr. Ehrenreich-May is the Director of the Child and Adolescent Mood and Anxiety Treatment (CAMAT) program at the University of Miami. She is also an Associate Professor in the Child Division of the Department of Psychology at the University of Miami with research and clinical expertise in the treatment of emotional disorders in youth. Dr. Ehrenreich-May is a Miami native that received her undergraduate degree at the University of Florida and her Ph.D. at the University of Mississippi in 2002. She completed a clinical internship at the University of Chicago Medical Center and until August 2008 was a Research Assistant Professor of Psychology and Associate Director of the Child Program in the Center for Anxiety and Disorders at Boston University. In addition to the development and evaluation of evidence-based treatment approaches for emotional disorders in youth, Dr. Ehrenreich-May is particularly interested in the transportability and implementation of effective treatments in environments that maximize their impact and benefit for children, including educational, pediatric and recreational settings. Dr. Ehrenreich-May is the author or co-author of over 100 journal articles, book chapters and other publication relating to this work. Dr. Ehrenreich-May's current research is supported by grants from the National Institute of Mental Health and other funding agencies. As a way to extend her research in the CAMAT program to the community, Dr. Ehrenreich-May provides workshops and presentations to parents, educators and clinicians on the assessment and treatment of emotional disorders in children and adolescents. She is available for both training in the Unified Protocols for the Treatment of Emotional Disorders in Children and Adolescents and consultation related to this approach. Please note: Dr. Ehrenreich-May does not personally provide any assessment or therapy services at CAMAT at the present time. Dr. Ehrenreich-May is seeking applications for graduate students entering Fall 2019. 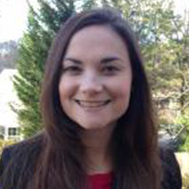 Dr. Amy Beaumont is a licensed psychologist and Board Certified Associate Behavior Analyst. Dr. Beaumont received her Psy.D. in Clinical Psychology from Nova Southeastern University in Fort Lauderdale, Florida and completed internship at the May Institute and National Autism Center in Massachusetts. Dr. Beaumont has over 15 years of experience providing evidence-based treatments for individuals and families, parent training, social skills groups, consultation with schools and medical professionals, and psychological assessment to children and adults. She currently serves as Coordinator of the University of Miami's Autism Spectrum Assessment Clinic (ASAC), which specializes in assessment and treatment of individuals with autism spectrum disorders. Dr. Beaumont sees clients for therapy and testing, as well as supervises practicum students and doctoral students within CAMAT and ASAC. She also serves as a consultant to autism and anxiety-related research projects at the University of Miami. She has written and presented at numerous local and national conferences on topics related to autism, Applied Behavior Analysis (ABA), and Cognitive Behavior Therapy (CBT). 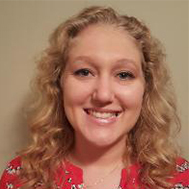 Dr. Ashley Marie Shaw is a Postdoctoral Clinical Research Fellow in the Child and Adolescent Mood and Anxiety Treatment (CAMAT) program at the University of Miami. She received her Ph.D. in Clinical Psychology at the University of Miami (Adult Track) and completed her clinical internship at Massachusetts General Hospital/Harvard Medical School (Cognitive-Behavior Therapy Track). She received her undergraduate degree in Psychology from the University of North Carolina at Chapel Hill. Dr. Shaw’s research interests are broadly focused on risk and maintenance factors for anxiety and obsessive-compulsive (OC) spectrum disorders. She is particularly interested in the role of emotional processes (e.g., emotional reactivity and regulation) in the onset and maintenance of anxiety and OC-spectrum disorders. Dr. Shaw is also interested in addressing modifiable risk factors for emotional disorders using transdiagnostic treatment protocols. Dr. Shaw currently provides evidence-based assessments and treatment for youth with anxiety and mood disorders and is involved in carrying out treatment effectiveness research at local community mental health clinics. 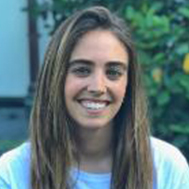 Rebecca Grossman is a fifth-year graduate student in the child clinical psychology program at the University of Miami. She received her undergraduate degree in psychology from Brandeis University. After graduating she spent time as a research and regulatory coordinator in the Pediatric Psychopharmacology and Adult ADHD Clinic and Research Program at Massachusetts General Hospital. Her research interests include evidence-based treatments for anxiety disorders, understanding barriers to treatment-seeking, as well as moderators of treatment outcome (namely, treatment failure) in children and adolescents with these disorders. 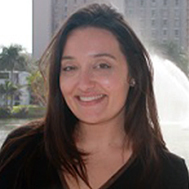 Niza Tonarely is a fourth-year graduate student in the child clinical psychology program at the University of Miami. She received her undergraduate degree in psychology from Boston College and her MA in psychology from Boston University. After graduating she spent several years as a research coordinator in the Pediatric, Adolescent, and Young Adult Section at the Joslin Diabetes Center. Her research interests include the development and dissemination of evidence-based treatments for pediatric mood and anxiety disorders. Specifically, she is interested in exploring the developmental risk factors and protective processes that influence these disorders in order to inform effective treatment development. 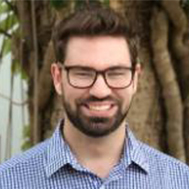 Dylan Braun is a second-year graduate student in the child clinical psychology program at the University of Miami. He received his undergraduate degree in clinical psychology and child development from Tufts University. Before coming to Miami, he was the research coordinator of the Pediatric Anxiety and Mood Research Clinic at Columbia University/New York State Psychiatric Institute. Broadly, his research interests include the development of effective treatments for youth with anxiety and mood disorders. He is also interested in research related to improving access to evidence-based treatments in community settings. 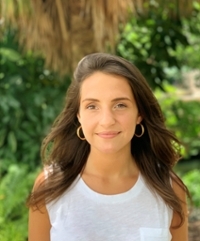 Alexia Hirlemann is the research coordinator for the Community Study of Outcome Monitoring for Emotional Disorders in Teens (COMET) at the University of Miami. She received her undergraduate degree in psychology from the University of Miami. During her undergraduate career, Alexia was a research assistant for the Program for Anxiety, Stress, & OCD (PASO) in the adult division of the UM psychology department. She intends to pursue a graduate degree in clinical psychology, and her research interests broadly include identifying risk factors that can facilitate treatment and early intervention in mental health patients. ‌Elizabeth is the research coordinator for the Child and Adolescent Mood and Anxiety Treatment (CAMAT) program at the University of Miami. She received her undergraduate degree in psychology from the University of Miami. During her undergraduate career, Elizabeth was a research assistant for the Community Study of Outcome Monitoring for Teens (COMET) and participated in the PRIME Fellowship. She intends to pursue a graduate degree in clinical psychology and her research interests include the development of evidence-based treatments for depression and anxiety in youth and the interaction between health and psychopathology. Natascha is a third-year graduate student in the clinical psychology doctoral program at Nova Southeastern University. She was born and raised in Miami, and received her undergraduate degree in psychology and Spanish from Tulane University in New Orleans and her master’s degree in clinical psychology from Nova Southeastern University. Broadly, her clinical interests include mood and anxiety disorders, and more specifically, the risk factors that contribute to maintaining these disorders in children and adolescents. She is also interested in how these risk and protective factors contribute to treatment progress and outcome. Kourtney is a fourth-year graduate student in the clinical psychology doctoral program at Nova Southeastern University. She graduated from the University of Florida, with Bachelor’s degree in Psychology and a minor in Women’s Studies. 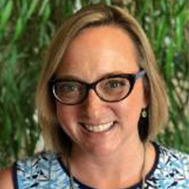 Kourtney holds the position of program coordinator for the Child and Adolescent Traumatic Stress Program in the Psychology Services Center at Nova Southeastern University. Kourtney's interests include working with children and adolescents as well as their families while focusing on a specialty in trauma. Carly is a fifth-year graduate student in the clinical psychology doctoral program at Nova Southeastern University. 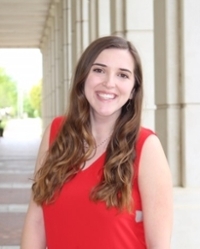 Previously, Carly has completed two practicum rotations at the Mailman Segal Center for Human Development Unicorn Children’s Foundation Clinics and Child and Adolescent Traumatic Stress Program at Nova Southeastern University’s Psychology Services Center. Carly has focused on working with children and their families diagnosed with various mental health concerns. Jamie Sherman is a former graduate student with the CAMAT Program. She is currently completing internship at the Mailman Center for Child Development at the University of Miami Miller School of Medicine. Colleen Maxwell is the former research coordinator for the COMET Study. She is currently pursuing her Ph.D. in clinical psychology at Temple University. Stefania Pinto is the former research coordinator for the CAMAT Program. She is currently pursuing her Ph.D. in child clinical psychology at the University of Florida. 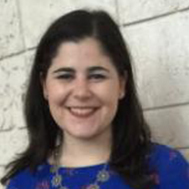 Emily Becker-Haime is a former graduate student in the Child Clinical Psychology Program at the University of Miami. Presently, she is a postdoctoral fellow at the University of Pennsylvania's Center for Mental Health Policy & Services Research. Emily Bilek is a former graduate student with the CAMAT Program. Presently, she is a clinical assistant professor at the University of Michigan. Kathleen Diaz was a research coordinator for the CAMAT Program. She is now pursuing her Ph.D. in child clinical psychology at the University of Kansas. Dr. Sarah Kennedy is a former graduate student with the CAMAT Program. She is currently a post-doctoral fellow at Children's Hospital Colorado. 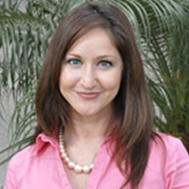 Dr. Erin Girio-Herrera was a post-doctoral Psychology Fellow in the CAMAT program at the University of Miami. She is currently an Assistant Professor at Towson University. 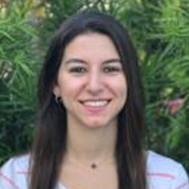 Dr. Elizabeth Penela was a post-doctoral fellow in the Child and Adolescent Mood and Anxiety Treatment (CAMAT) program at the University of Miami, and a graduate of the University of Miami Ph.D. program. She is currently a licensed Clinical Psychologist at Pediatric Psychology Associates. Lindsay Stewart was a former post-doctoral fellow with the CAMAT Program. Currently, Dr. Stewart is a licensed Clinical Psychologist based in Ft. Lauderdale, FL. Cara Remmes is a former graduate student with the CAMAT Program. Currently, she is a clinical psychologist at Quad Prepatory School in New York City. Alex Queen is a former graduate student with the CAMAT Program. He is currently a Lecturer at Tufts University, and coordinates fieldwork placements for clinical psychology majors at the school.